LEADER supports community-led local development in rural Ireland. 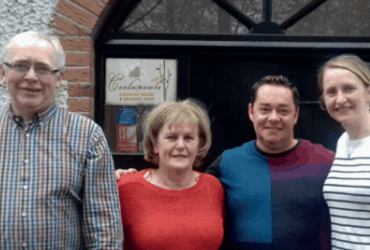 Since its inception in 1991, LEADER has provided grants to rural Ireland to direct economic and social development through community-led local development. Funded through Ireland’s Rural Development Programme (RDP) 2014-2020, the current LEADER Programme budget provides €250 million in financial grant aid which is 7% of the overall RDP. 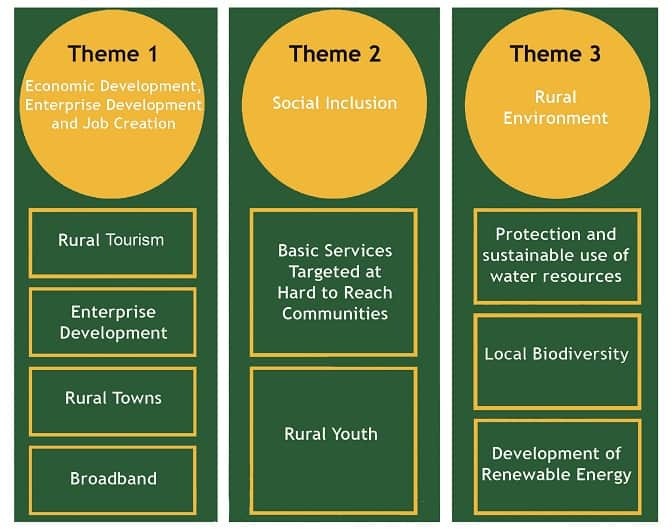 For more information on the wider RDP see the Summary of Rural Development Programme Ireland 2014 to 2020 publication. 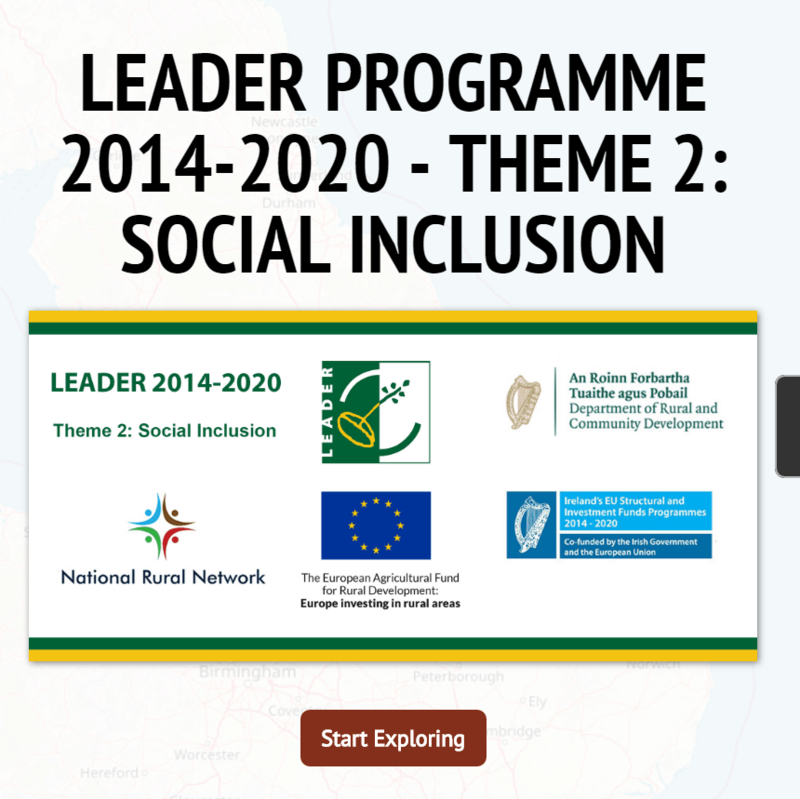 The LEADER Programme is based on the ‘bottom-up’ approach to rural development. 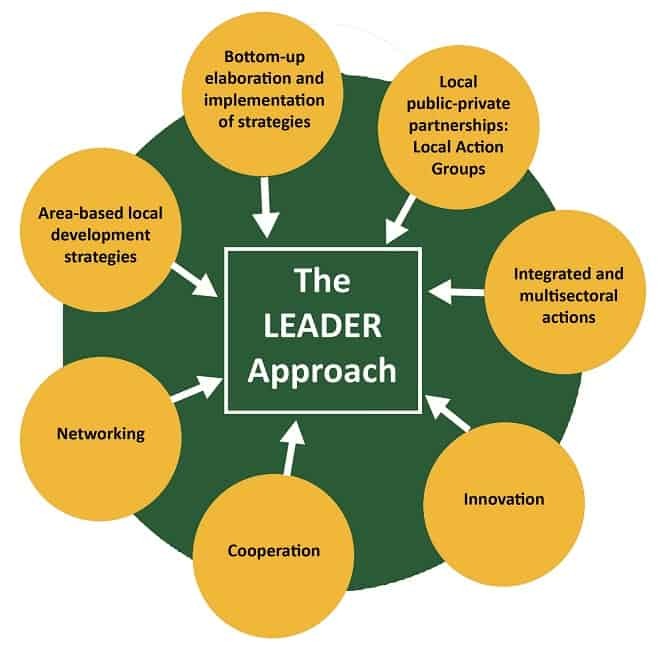 A European Commission report entitled The LEADER Approach – A Basic Guide details the rationale behind the LEADER community-led local development approach. The LEADER approach to rural development is based on 7 key principles to guide the practice of community-led local development. The principles complement each other and should positively interact for successful LEADER Programme implementation. The 7 principles are deeply connected and work together in tandem as a toolkit to safeguard and build a brighter future for rural communities. The LEADER Approach: A Basic Guide provides a detailed description of the LEADER 7 key principles. 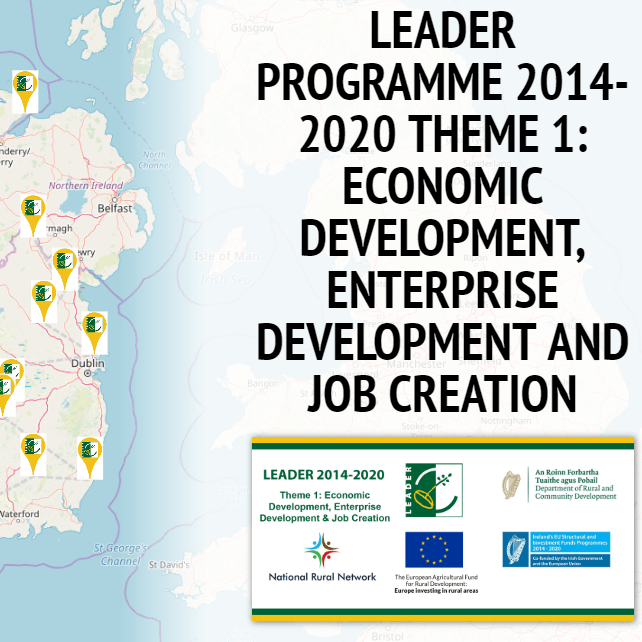 The LEADER Programme 2014-2020 includes themes that reflect the overarching needs of rural Ireland. Each theme contains a number of sub-themes. They are considered the key areas in need of the greatest support and with the greatest potential to promote the sustainable development of rural Ireland. Download the National Rural Network’s leaflet on LEADER Community-Led Local Development for more information. Decisions on LEADER funding are made at a local level by a network of Local Action Group (LAGs). A community-led Local Development Strategy provides the framework within which decisions are made. LAGs work within a defined sub-regional geographic catchment area and are made up of both public and private local community members. Currently 29 LAGs have contracts in place with the Department of Rural and Community Development to deliver the LEADER Programme. Within LAGs, Implementing Partners are responsible for the day to day management and co-ordination of the LEADER Programme on the ground. 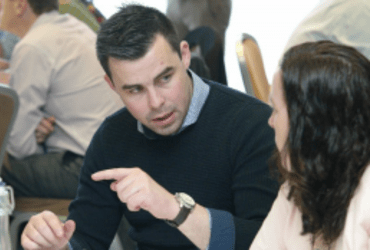 Implementing Partners provide funding applicants in their catchment area with grant application supports, such as advice, training and mentoring. For further information on LEADER funding in your local area, including how to apply for grants, you can contact your Local Action Group. Contact details for each LAG and Implementing Partner, as well as links to websites and social media pages. Acquire skills and means to improve delivery. Cooperation is a partnership between LAGs but the partnership can also involve non LEADER groups. Cooperation projects between LEADER LAGs and non-LEADER groups may also be eligible where the proposed project is led and coordinated by the LEADER LAG, and the non-LEADER group is implementing a local strategy. Partners must have a direct relevance to the project theme and may have an advisory or a practical role in project management and delivery. It is vital that partners add value to the overall project and its eventual outcomes. Inter-territorial Cooperation takes place between two or more LAGs within a Member State. Transnational Cooperation takes place between two or more LAGs from different Member States. For example, cooperation between a LAG from Northern Ireland and Ireland is known as Transnational Cooperation. 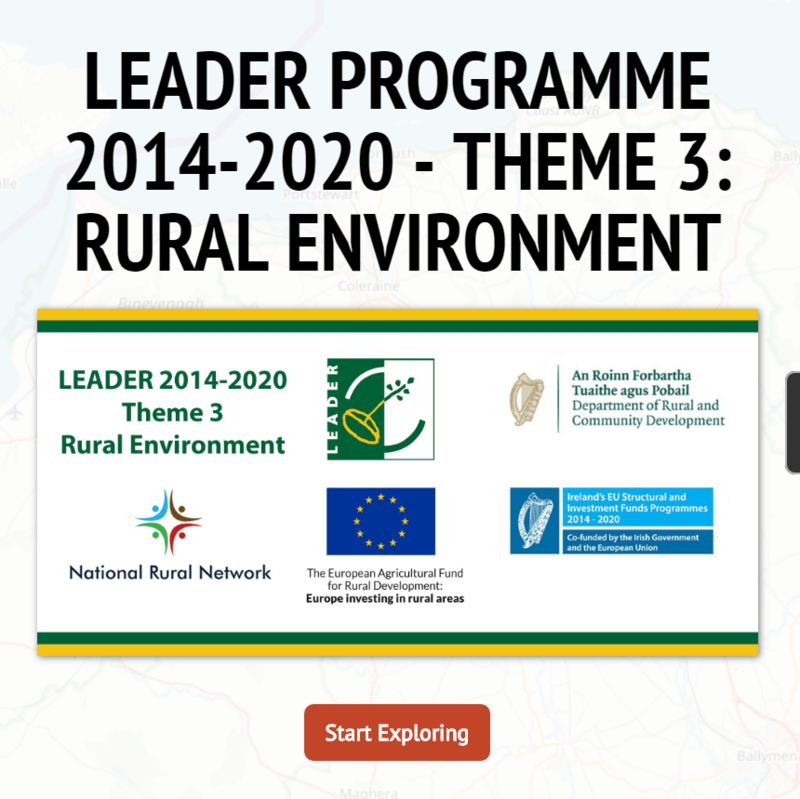 Check out the European Network for Rural Development’s LEADER Cooperation web-based resource. Download the toolkit ‘Launching Cooperation North and South’ designed to encourage Transnational Cooperation between Northern Ireland and Ireland. 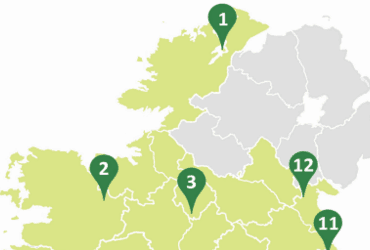 The NRN team at NUI Galway have collaborated with David Kelly, Research Technologist at the Whitaker Institute and Moore Institute at NUI Galway to create an informative interactive Local Action Groups (LAGs) map of Ireland.